My shabiki Art for Barbie A Fairy Secret. 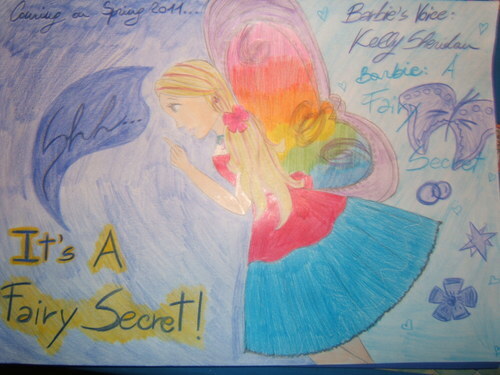 My drawing for Fairy Secret... hope wewe like it!. HD Wallpaper and background images in the Sinema za Barbie club tagged: barbie fairy secret fan art. Cool ,her face is funnny but i like it ,good job! This is wickedly mind blowing! OMG! Why I don't see it earlier? It's great! As I understand, it's Kelly? Dio Mio! She is amazing! I know... Kelly can surprise! Thank you all!!!!!!!!!!!!! Oh, I forgot one thing. KMS has brown eyes...the same as you Ceci!